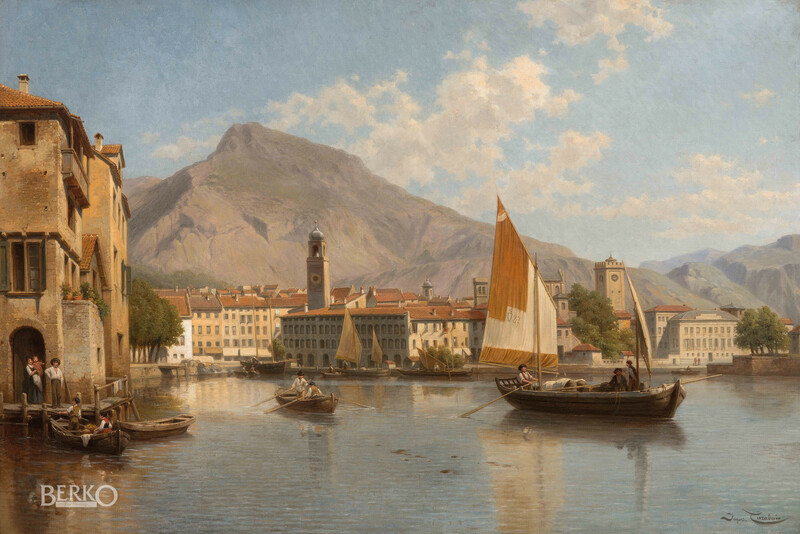 Painter of town views, animated landscapes and seascapes. Jacques Carabain under Doyer and Bing at the Amsterdam Academy and continued his studies in Brussels. He visited France, Italy, Germany and Austria and settled in Brussels. He exhibited successfully in Belgium and abroad. Jacques Carabain painted lively town views with figures and markets, which made him very famous. Label ‘Récompensens et medailles obtenues par Jacques Carabain’ on the back.